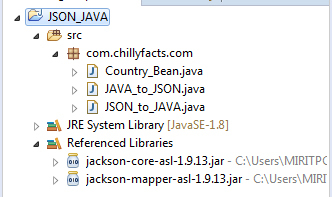 In this video I have shown how to parse JSON Object to a JAVA Object using JACKSON API. 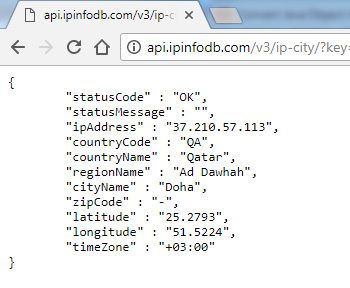 For testing we have registered with website http://api.ipinfodb.com. After registering we will get the API Key.This website has a web service which will return JSON response of IP location information for the HTTP request we send.